Biting is a common problem among Yorkies as well as among other small dog breeds. This intention to bite is noticed among young Yorkies but if certain measures have not been taken, then they will preserve this habit. Biting is usually noticed when a Yorkie is adapting to a new environment and to new owners. Sometimes, Yorkies are too energetic and they may bite you without paying any attention to what they have done. Owners of Yorkies should not treat training as the most difficult time in the life as it can easily turn into a pleasant and positive experience. If you follow certain rules and habits, you will see that training may be more than just rewarding. The first thing to consider is that your dog should have the right age for training and if you decide to buy a puppy, your puppy should at least be 7-8 weeks old. Every owner of a Yorkie will notice that the dogs love to jump on different things. It is a sign of excitement when dogs meet someone, or of excess energy that has accumulated during the day. Some people are not really happy to see the pets overexcited as there are small kids around. Most of dogs like staying around the house but, if you need to travel with your pet, you need to consider taking the necessary things with you. Besides, a lot of dogs like riding a car but you need to follow simple rules to ensure that your pet will not get hurt. Before teaching your dogs how to behave in a car, you need to make sure that they will have a lot of things that they will recognize and they will not so nervous. Any Yorkie owner knows that these dogs are great personalities. It’s an interesting fact that they can have weight of less than 6 pounds but at the same time they may be stubborn and really brave. You can frequently see how Yorkies become aggressive to other dogs or even humans. You shouldn’t think that they are innocent as such behavior can lead to different fights and bites. Though they are considered to be small dogs, they can hurt small children. A lot of owners of Yorkies do not recognize the effectiveness of crate training but those who have already tried it will never say that it is a bad idea. Using a crate will help your Yorkie become a loved family member that will not annoy the owners. In other words, it is a perfect approach to provide your dog with a confinement area for different forms of training. You should not treat crate training as a punishment for your dog. Another problem, an owner of a Yorkshire terrier can face, is chewing. This is an instinctual activity of the dog that is present since being a puppy. Chewing is closely associated with excess energy of your pet and owners of Yorkie should not consider it to be abnormal. But, the needed measures should be taken from a young age to prevent the pet from chewing everything in sight. If an owner leaves the problem without attention, this habit may turn onto a real behavioral problem that may be revealed in unnecessary damage. Due to the energy character present in Yorkies, they may become good friends and, in some cases, help kids with mental disabilities. They can play a great role in helping kids correct their behavior and develop a sense of responsibility. Yorkies may become a real autism service dogs. It is a relatively new type of service dogs that can assist kids coping with communication and behavior problems. 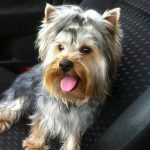 Any owner of Yorkie will confirm that these dogs are smart and it is not difficult to train obedience. But there are some character features that may be an obstacle in training your pet. Yorkies are considered to be independent and, at the same time, stubborn. That is why any obedience training should start with a plan. The first thing you need to take into account is the age of your Yorkie and your Yorkie should be less than a year old to do the training. If you decide to buy a Yorkie, it’s an excellent choice as you will never have such a loving and loyal pet. At the same time, having a Yorkie is a great responsibility and, first of all, you need to know how to potty-train your Yorkie in the right way. You also need to take into account their dependability on their owners and any owner needs to be protective in relation to this pet. In rare cases these dogs are shy but most of their representatives are social and easy to train. 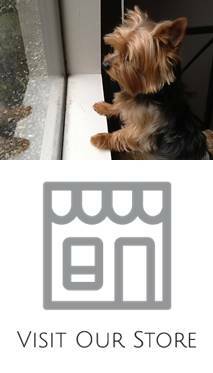 How much does a Yorkie and Teacup Yorkies Cost? If you are in search of the best dog food for your Yorkie, there are several factors to consider including type, ingredients, and price. There are also several factors to watch out for including harmful additives, preservatives and artificial flavors and colors. Dog Food: Wet or Dry? Teacup Yorkie Puppies is a term used to describe abnormally small, or “teacup” sized dogs, and is often used in reference to very small Yorkshire Terriers. A Yorkshire Terrier that matures to a weight between 4 and 7 pounds is what every reputable breeder consistently strives to attain in order to preserve the breed standard. © 2019 YorkiePassion.com. All Rights Reserved.